This is my first ever box from a subscription company, although the great thing about Meme box is it's just a once off so I decided theres no better way to try this one out than with the Halloween box. I will admit I was slightly saddened that the Halloween image on the website wasn't printed on the box. Lets jump in though! 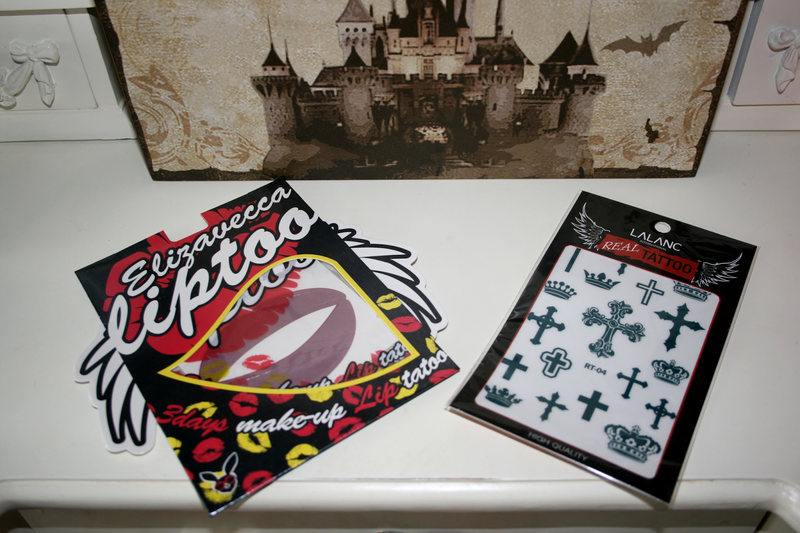 Firstly right on top were 'Elizavecca Lip Tattoo's', I have never tried lip tattoos before so these are going to be fun to give a try. There was 2 in the packet which I think was quite good as I only expected one.You get a deep wine colour and a dark burgandy one. These retail at $14. Underneath the lip tattoos were some 'Lalanc Real Tattoo' temporary tattoos. 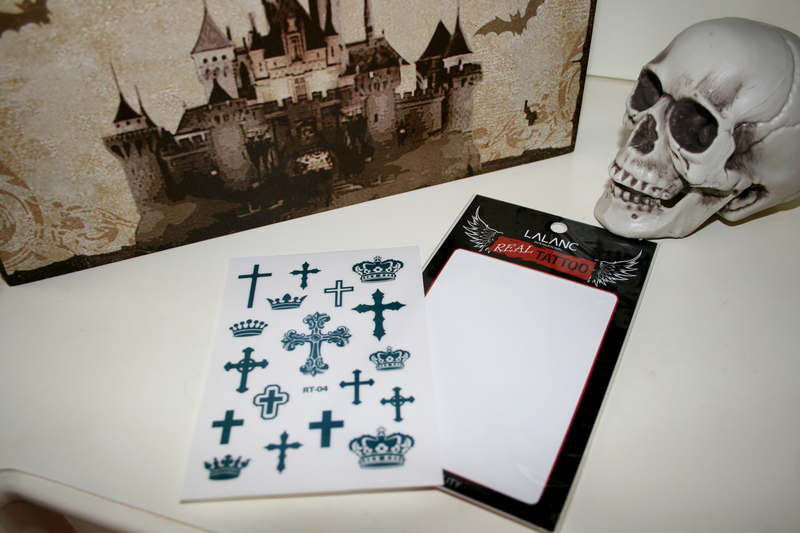 There are 2 sets of these and you get one at random and I love these cross ones. I'd love a tattoo but I'm dreadful with pain so these will do for me, normally I draw on "tattoos" with eyeliner and on my hand just above my pinkie I always draw on a cross and the exact kind I draw is the one on the sheet at the top left hand side so that made me happy! These are supposed to look real on the skin but I have yet to try them out. These retail at $5. Next I received 'Revecen Supra Lining Colour 007 Purple' which is a face and body paint, so you can use it on your eyes, lips, face and body (duh Jordan!) This retails at $30. 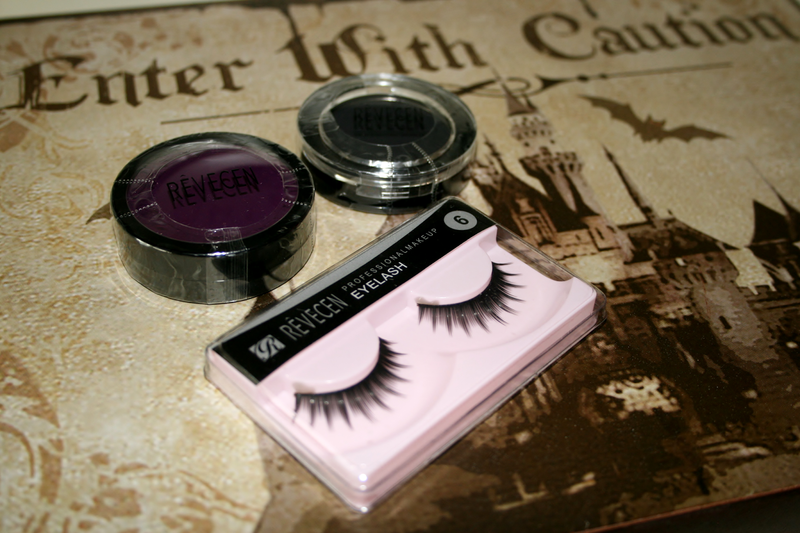 Also in my box was 'Revecen Cake Eyeliner in Black' this stuff is amazing, you can use it as a normal black eyeshadow or use with a wet brush to create black gel liner!! 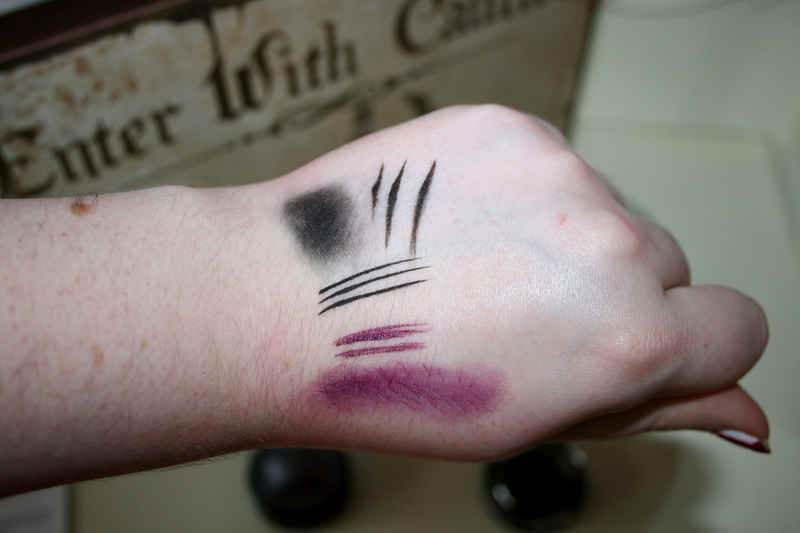 Hense why theres so many swatches of the eyeliner part I was literally so impressed with it. This retails at $8. 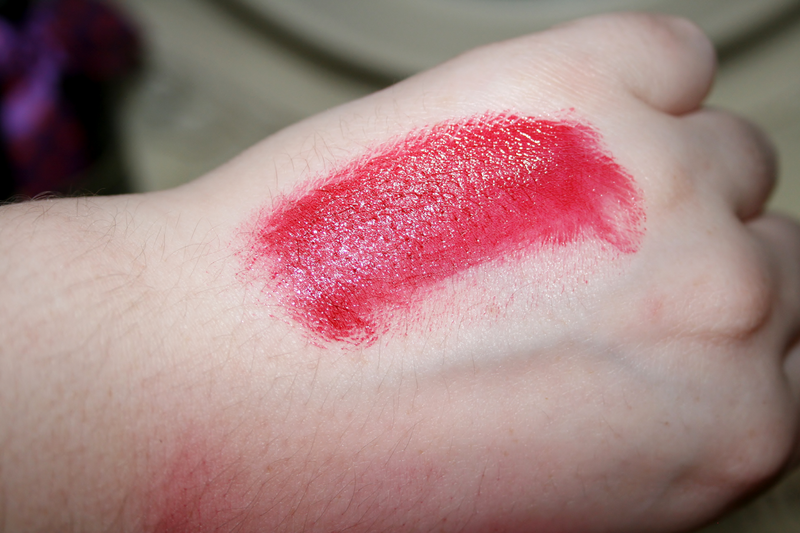 And finally I received 'Revecen Liquid Lipstick Blood´. This is amazing you can use it anywhere even though its a lipstick. 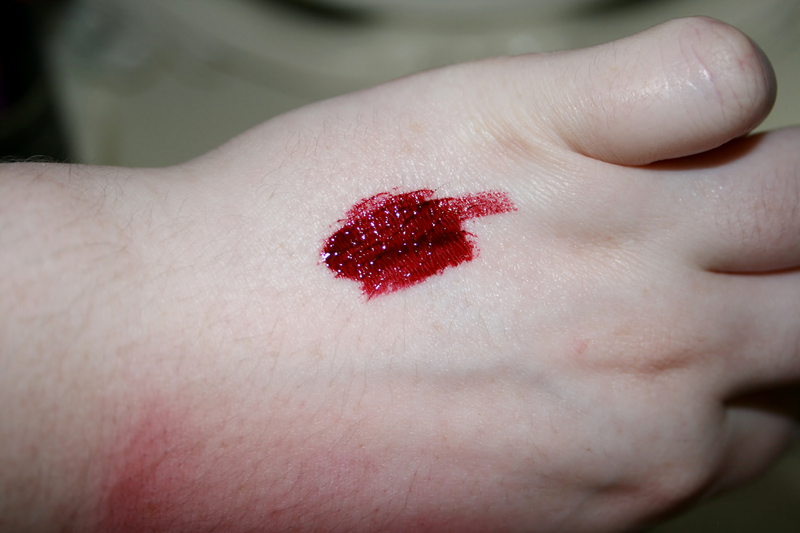 It looks like fake blood when applied to the face or when you smooth it over your lips it looks like a lipstick. 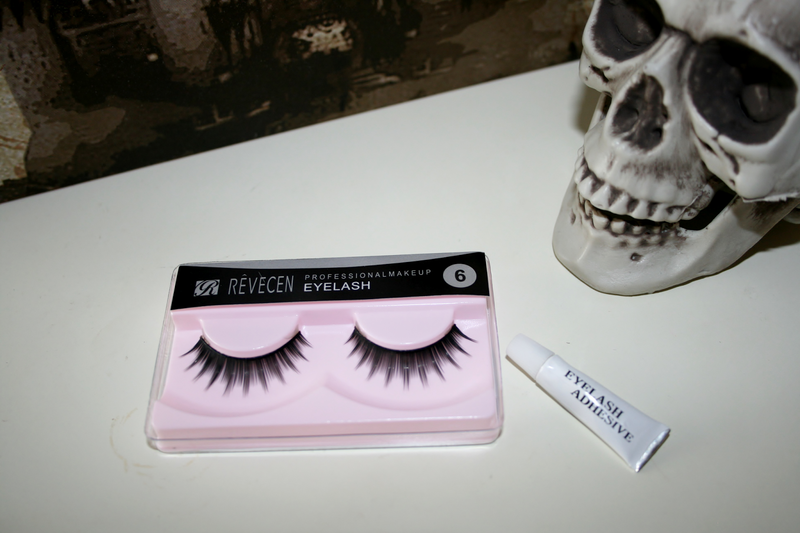 I really adore this product! This retails at $16. 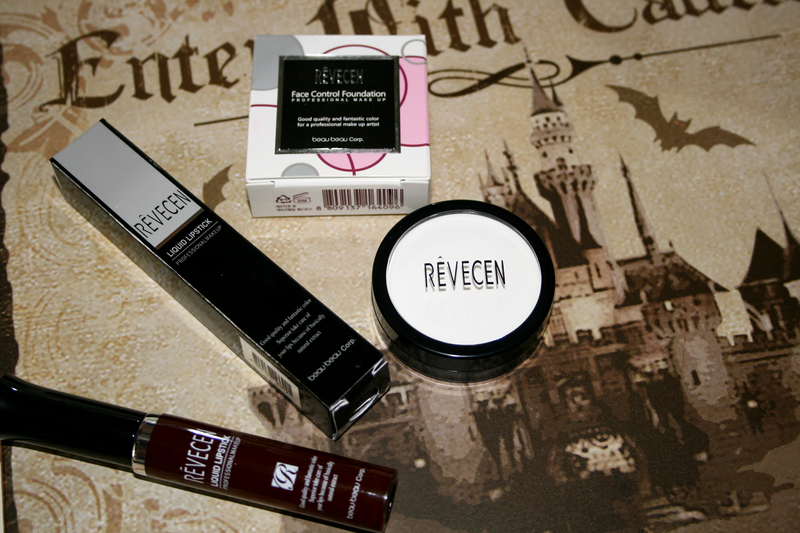 Lastly I received some 'Revecen Face Control Foundation in White', I spent money on a white foundation 2 weeks ago (it didn't break the bank) but I don't know why I didn't expect white foundation in this box it really just slipped my mind. 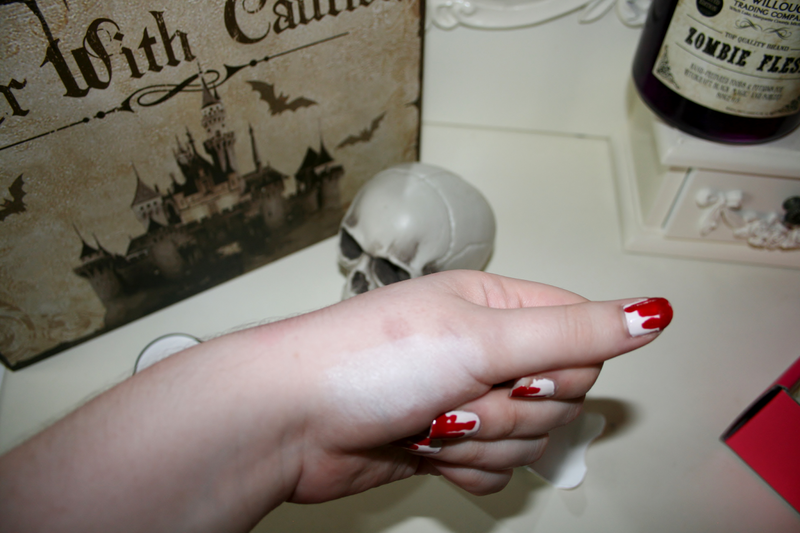 Sorry its hard to see swatched on my hand it doesn't help I'm so pale my poor camera doesn't understand what its trying to take a picture of. 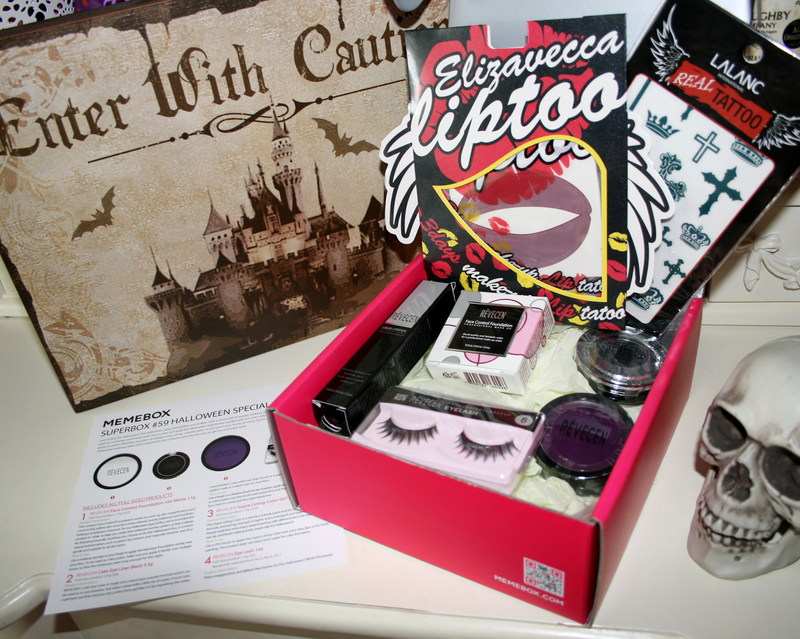 Over all Im really impressed with this box and will definitely use everything in it, and more than likely I will order from them again. All these products are full size which I think is amazing and because I had a discount on the site this box only cost me €16.95 and everything in it adds up to $101 which is about €79.10 so it's definitely worth the money. 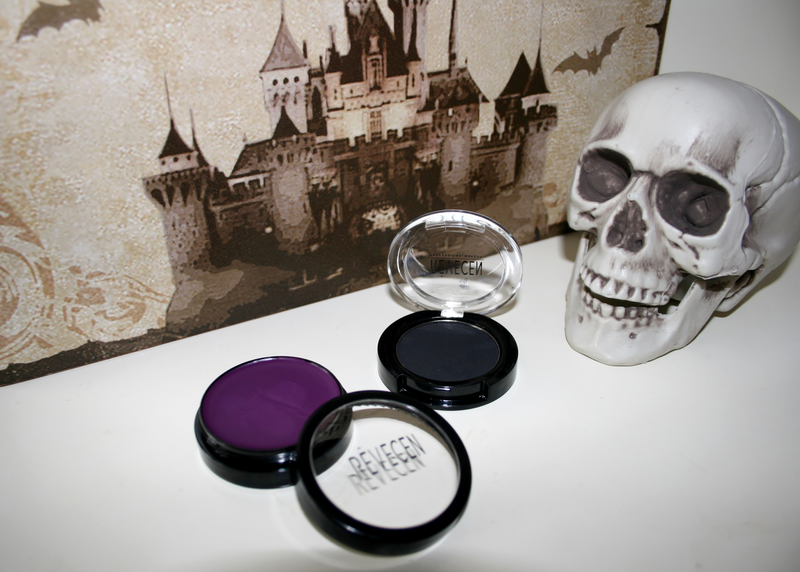 I'm sure you will be seeing these products in some Halloween looks soon! Have you bought a box from Meme box before?